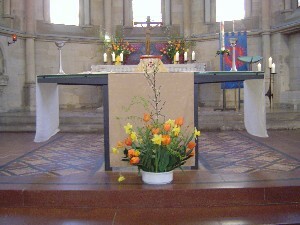 St Catherine’s Anglican Church, Stuttgart is part of the Church of England’s Diocese in Europe and also part of the worldwide Anglican Communion, which includes the Episcopal Church. A 150 years on from our founding, we are now an international congregation from a broad range of backgrounds, spanning all the generations. Worship remains true to the Anglican Heritage in its use of liturgy, drawing most significantly on Common Worship provision. We try to allow the diverse mix of our congregation to find its voice in the prayers and the music and involving our children and young people. Christ’s presence is celebrated in the Word and the Eucharist and in our common life of Prayer. An important feature of our common life as a church family is that fellowship over refreshments after all services. Other social events, are vital building blocks of fostering a sense of Belonging.